Lead a horde of zombies on a manic mission to expand the ranks of the undead and destroy humanity. Battle the clock and attempt to trash the planet in this highly addictive, run-till-you-die zombie rampage – one game and you’ll be "turned"! Herd through a variety of locations, causing damage and grabbing brains to power up your horde’s human-chomping abilities. Split your horde in two to mop up survivors, overcome obstacles and activate switches. ©2014 Sony Computer Entertainment Europe. 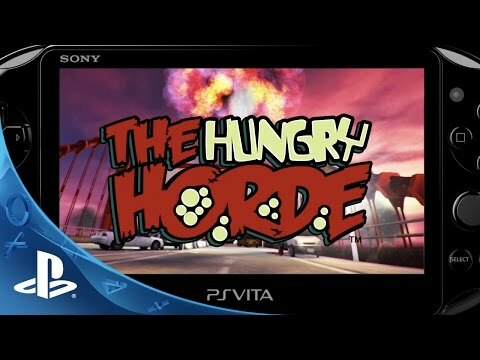 The Hungry Horde is a trademark of Sony Computer Entertainment Europe.